It’s been a while… I’m still busy with work so I’m not back at blogging completely yet. I just wanted to check in with everyone and see how everyone was doing. Tonight is the Mid-Autumn Festival. This holiday is held on the night of the full moon (this year is extra special with it being a Blood Moon!) on the 15th day of the eighth month of the Lunar calendar. It’s to gather friends and family to celebrate and give thanks for the harvesting of another season of crops. Tradition calls for mooncakes to be eaten during the festival. I have never gotten into eating them; I just do not enjoy the taste. But my parents love traditional mooncakes with lotus paste and salted egg yolk filling. Hope everyone gets to enjoy tonight with friends and family, with mooncake or not. And check out that moon! 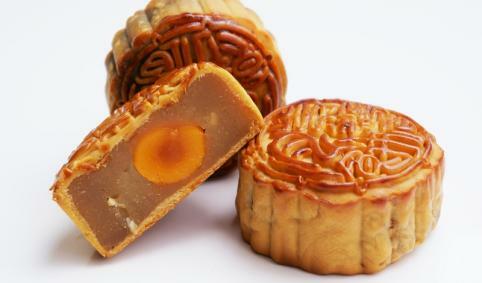 The mooncakes look really good and sound intresting i’d love to have a taste one day! Can’t wait to see the supermoon myself! Wish I did like it though. Out here in Singapore the variety of mooncake fillings is insane – there’s chocolate (good), green tea (excellent), durian (acquired taste), foie gras (uhhhh)… can’t wait to see the prosciutto and dates one though! They’re so pretty – though those traditional ones don’t sound like something I would like.